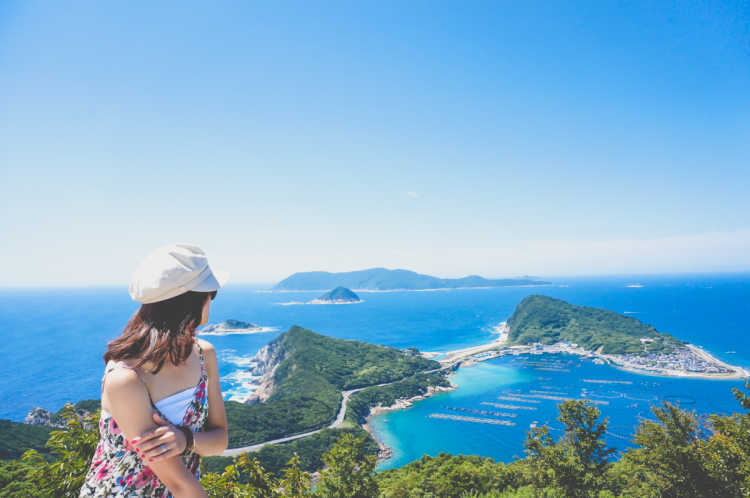 Kashiwa-jima Island is said to be a paradise at the westernmost of Kochi Prefecture and its clean and emerald ocean is very popular. This observatory can command the whole view of the island. The view of the paradise island was breathtaking.◎Before arriving at Kashiwa-jima Island, there're two tunnels on Prefectural Road 43. The slope before the first tunnel is steep though you can drive a car. It's better to climb the slope before the second tunnel.